The yurtvillage surrounds the farm dam and contains 15 yurts including a kitchen- yurt, bathroom yurt, craft-yurt, a workshop yurt and 2 toilet yurts. 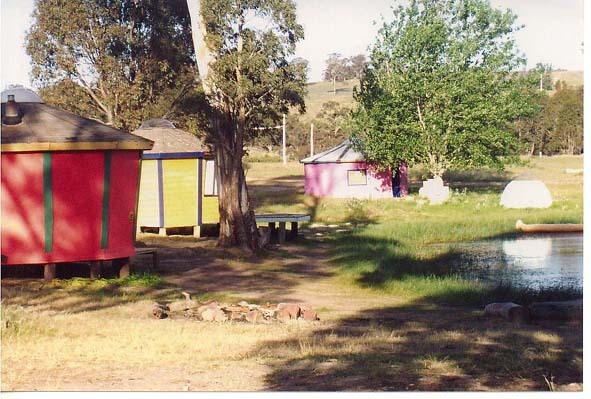 The other yurts are used for accommodation. The theme of the Yurtvillage is "Back to Basics" so NO electricity. The yurts have a stove, heater, mattresses and a solar light. Yurts are cosy round houses with skylight domes so you can see the stars at night. They accommodate up to 1 family or 10 children.